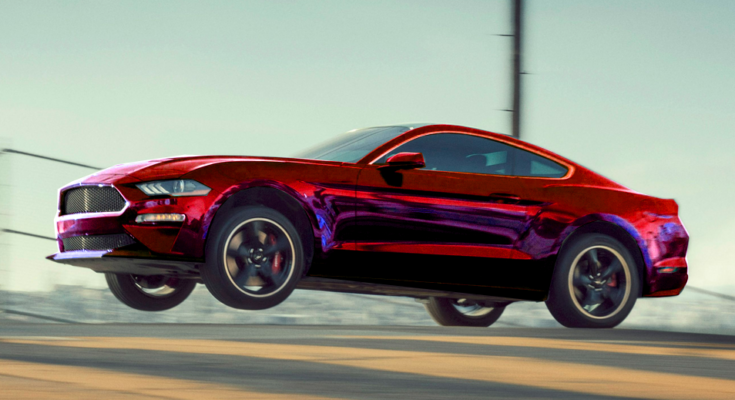 I have to say, I thought I wanted a 1960’s Ford Mustang until I saw the new 2019 special edition Bullitt Mustang. There’s something special about it, something that mesmerizes me. I’m not sure whether it’s the appeal of the sleek design, the new colors, or the ability to tailor it to myself specifically, though it might as well be a combination of all three. To be able to craft a vehicle that will meet every need and desire? That’s something rarely offered. So what is there to customize? How about the technology, the handling (you can even save your settings for the next drive), the design (interior as well as exterior), and the sound (not only the B&O Play audio system by HARMAN but also the active valve performance exhaust sound from the engine)? The base price for the Ford Mustang Bullitt is a little under $47k, but of course if you’re customizing it’s going to cost a bit more, especially if you want it tailored specifically to one driver. If you’ve got the money, though, what you’ll get for it seems to be a good investment, particularly with the upgraded technology, like the 12″ LCD Digital Instrument Cluster which even lets you choose which colors it uses to display driving information. The active valve performance exhaust system is class-exclusive (here meaning the high-powered sports car class), and the Bullitt model comes with a black NitroPlate finish. The system allows you to choose from four modes, meaning four volumes of the sound of the exhaust. Want to roar out of the driveway and turn heads? You can use the Track mode. If you’d rather keep sound to a minimum, you can choose the Quiet Start. There are also snazzy additions such as the red Brembo brake calipers, which will attract attention wherever you go. They’re not even special extras – they come standard with the Bullitt model. Other features include electronic line-lock (for track use only), independent rear suspension, selectable-effort EPAS (electric power assist steering), vented four-wheel disc brakes, and monotube shocks. As an option, you can also choose to add the MagneRide damping system. A 5.0L Vi-VCT V8 engine, TORSEN limited-slip rear axle, and 6-speed manual transmission with rev matching come standard as well, along with summer-only tires. Optionally, you can add to the purchase a spare wheel and tire. As far as the exterior and interior go, they are equipped with a decklid spoiler, LED lights, hood vents, pony projection lights, a rear diffuser, aluminum foot pedals, heated steering wheel, rear-view camera, universal garage door opener, reverse sensing system, electronic locking center console, and plenty of Bullitt logos everywhere. Options available for the interior include memory driver’s seat, ambient lighting, and mirrors. It really seems as if you can customize just about everything inside and out of the Ford Mustang Bullitt. If you want to try your hand at crafting your own dream Bullitt, you can visit the Ford site. With all these goodies, it seems Christmas is arriving early.